Nature is never still. When a storm sends trees crashing to the forest floor, it creates gaps where seedlings establish, and begin the long race to the canopy above. When a river eats away the woodland from one bank, it deposits mud on the other where the first pioneering grasses take hold. If animal disease sweeps across the land, decimating the wild herds, it affords respite to young trees which were eaten back each year by the relentless nibbling of deer and antelope. The young trees flourish and new woods appear, only to be knocked back by drought a few years later. It is the way of the wild to soar and dive. Nature’s storms maybe terrifying for those caught in their midst but they are her sculptor’s chisel. The storms that fell trees in a tropical rain forest create space in the canopy for pioneers and gap specialists; they enrich diversity, Hurricanes do the same for coral reefs. The savannahs of Africa can change entirely from woodland to grassland and back: their specialist communities of plants, insects, birds, mammals and plants are adapted to these dynamic swings through their migrations and ingenious forms of dispersal. Even the longer orbital pulses of ice that periodically clothe and lay bare the Earth as she moves from one ice age to the next, drive evolution, creating variety out of climate change. No matter at what scale we look, change is found to be an essential part of life on Earth. So why when it comes to protecting Nature, do we do our best to stamp out the dynamic engine at her heart? Maybe it stems from the classroom where all too often we find a supercharged, attention-grabbing minority disturbing a quiet, good-natured majority. The teacher usually manages the hell-raising delinquents by some kind of constraint – extra time in the classroom, exclusion from popular activities, sent home or, in the worse cases, locked up! We show the same tendencies as the teacher with nature. In Africa the greatest delinquents are the elephants and hippos which cause havoc if numbers build up. The solution has been to reach for a rifle and begin culling. Culling – that’s an interesting word. 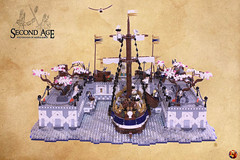 From Latin colligere it originally meant “to gather together” or “to select”. The idea is to select out the inferior. So when we cull deer or hippo or elephants, we are allegedly removing the inferior. Supposedly we are improving the stock. 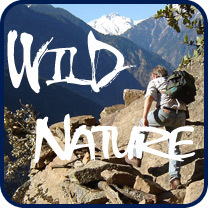 It is a quaintly anthropocentric view of nature. Fortunately not something we practise in the classroom – although the exam system has a similar selective purpose. The immediate consequence is that the herd, removed of its own self-imposed constraints, starts breeding like crazy. Instead of waiting until she is twenty years old and then having calves once every nine years, the cow elephant has her first calf at eleven and gives birth every three years. After the major cull, an annual cull becomes inevitable. But do we need to cull? Conflicts have arisen between animal rights activists and supporters of livestock-type management of the wild. In society at large, there are now two camps pitched on either side of the river. Conservationists would label them the non-consumptive and consumptive camps. The ideological issues separating the camps are difficult to deal with, as both sides tend to have kneejerk reactions. In one camp there is a call to stop the cruelty and murder of our wild kin on the other the need to avoid ecological catastrophe and the waste of resources. As a result of this polarisation in society, the subject of wildlife management for elephants and the other wild delinquents has bogged down. 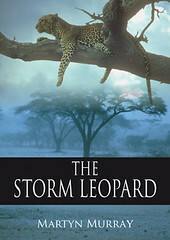 I take up this story in The Storm Leopard because I believe that we can build a bridge across that river. 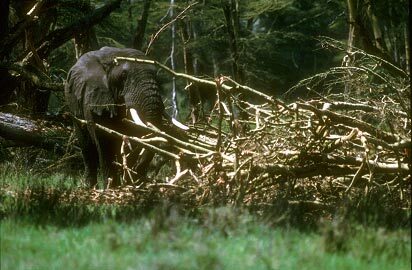 The ecological problem posed by an abundance of elephants is not that they trash woodlands, which they undoubtedly do, but whether those woodlands can recover after the elephants have left. 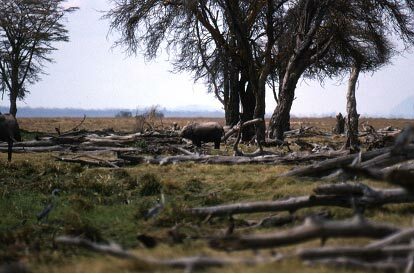 Similarly the ecological problem posed by an abundance of hippo is not that they graze the herb layer flat in a wide corridor that runs either side of the river or lake, and acidify freshwater pools for miles around even way up in the hills, which they undoubtedly do, but whether the game populations in the denuded hinterland can recover after the hippo have declined. Trying to resist ecological change is like trying to stop the tide advancing but that should not prevent us responding to the advance by safeguarding the most vulnerable. 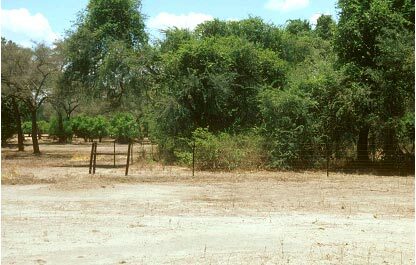 If elephant numbers have increased, temporary havens can be constructed to prevent losses to vulnerable biodiversity from woodland damage. It is possible to protect individual trees with hollows used by bats, birds and small mammals. A single strand electric fence surrounding a grove of shrubs and trees, repeated at places along a river, protects an even greater variety of woodland specialists as well as the vital seed bank. In time, the elephant numbers fall away from the combination of lack of recruitment and drought induced mortality. The woodlands spring back, boosted by our protected enclaves. 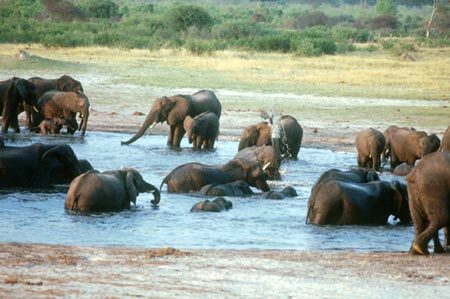 Away from the rivers, the problem with large elephant populations is concentrated in the vicinity of dry season water points. It is largely an aesthetic problem as other species are less affected in these extensive landscapes. Ecology can help us here too. 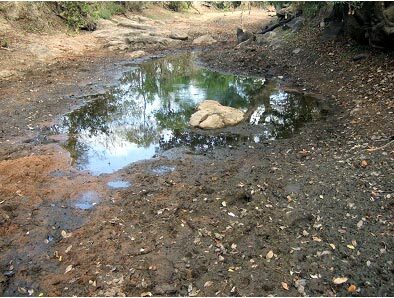 In the waterless Kalahari Sands of Hwange and Chobe National Parks, water is pumped up from underground aquifers. 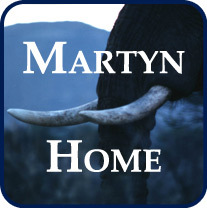 The so-called “elephant problem” arises because of the permanence of the management actions. Permanent water creates permanent damage but temporary water creates temporary damage which is a natural part of the dynamic ecosystem. If we duplicate nature by switching the pumps on and off, the system is much more robust. For example the pumps might be switched on for fifteen years at Camp A. Canvas and wooden tourist lodges can be quickly erected. Elephants arrive and visitors enjoy the magnificent setting. After the fifteen years are up, the pumps are switched on at a neighbouring Camp B and after a year or so, switched off at camp A. The temporary lodges are relocated to the new pan. Elephants make the journey to the new Camp. At the next drought, some willd die. It is Nature’s way. Every fifteen years, the elephants follow the moving pans eventually recycling back to the original site after its full recovery to mature woodland in sixty or ninety year’s time. Ecological management like this requires careful study, good planning and close monitoring but none of it goes beyond the techniques used in different ways already. The aim is to allow elephants, or hippo, or other delinquents to adjust to nature’s shortages by stopping their breeding, and to ensure at the same time that biodiversity is not destroyed. Disease or drought will eventually reduce numbers. Along the rivers, the fences round the protected enclaves come down. Further afield, the pan rotation may be slowed. The woods recover. Dynamic nature keeps doing her thing. If we are flexible enough, change enriches us all. This entry was posted in Nature, Overabundance and tagged Elephant, Hippo. Bookmark the permalink.